Choosing to pursue a degree is one of the biggest financial decisions you’ll ever make, which is why many students turn to community colleges. According to the American Association of Community Colleges, the average yearly cost of tuition and fees for community college students in the U.S. is $3,347, compared to an average cost of $9,139 at four-year institutions. Tuition aside, community colleges offer several benefits. If you choose to continue your education after completing a two-year associate program, you can earn credits towards a bachelor’s degree and transfer to a four-year institution. Not only is this one of the cheapest routes to a four-year degree, but the flexibility accommodates learners with a wide range of needs and backgrounds. This includes students resuming studies after time away from college, part-time students who have full-time jobs or families, or even high school students. Located in Kansas, Coffeyville Community College offers a variety of associate degrees at an affordable price. The school's programs span across 19 different disciplines, including athletic training, digital communications, and horticulture. Around 2,300 students attend class on campus, and 90% of students who pursue a full-time credit load receive some form of financial aid. Even without financial assistance, those enrolled only pay $72 per credit hour. An affordable tuition rate makes this Kansas school one of the cheapest community colleges in the country and an all-around excellent value. In addition to the different associate degrees offered at CCC are a selection of technical certificate opportunities. Students earn a certificate to work as a medical assistant, phlebotomy technician, or in the field of welding, among other areas. Some of the above technical programs -- and others -- are available to current high school students for free, furthering the school’s efforts to bring affordable education to the southern Kansas region. The institute separates its academic programs into four academic divisions: social science, leadership, business and criminal justice, mathematics and science, humanities, and health and physical education. Within each division, students can select a major that best fits their interests and professional ambitions. The school assigns all students an academic adviser who supports them in attaining their continuing education or career goals. Based in Americus, South Georgia Technical College, one of the most affordable community colleges in the country, offers several technical degree programs and certificates. The school's associate of applied science degrees program prepares students for positions ranging from industrial electrician and landscape specialist to accountant and aircraft assembly technician. The school's degrees related to aviation maintenance and aircraft technology are among the most renowned and popular at the school, which originated as a training base for U.S. Army pilots in 1917. Today, courses for these majors and others are offered on campus and online. The over 2,500 students enrolled in classes at SGTC pay $89 per credit hour for tuition, and those who live on campus pay an additional $2,500 for housing and food -- a notably cheap cost of living in comparison to residence hall rates at many other colleges. In addition to the school’s certificate and online learning opportunities, Northwest College offers its students over 50 degree programs. Those who attend classes at the school's Powell, Wyoming campus pursue associate degrees in art, science, and applied science. As they do so, students can choose to major in anything from sociology to music technology. Among the top affordable community colleges in the region, Northwest College is known for their associate degrees, which enable students to successfully transfer to four-year universities and pursue studies in fields like optometry, occupational therapy, and pharmaceutical sciences. The school provides those who enroll in such degree programs with valuable support services such as on-campus childcare, intercultural programs, and tutoring. In addition, students are given the opportunity to participate in domestic and international travel excursions as well as field studies. To help students fund their education in the classroom and abroad, Northwest College offers scholarship and grant opportunities through their financial aid office. Featuring not only a rodeo team but also a dinosaur museum, Mesalands Community College sets itself apart from other institutions through its unique offerings on campus and in the classroom. Compared to other cheap community colleges, the academic degrees offered at this school yield several degrees and certificates that support ranchers and farmers. For instance, their degrees include associate of applied science in farrier science or agribusiness. MCC also offers pre-medical degrees such as pre-nursing, pre-dentistry, and pre-veterinary sciences. The school offers academic programs at one of the cheapest community college tuition rates in the United States. Those who reside in the state of New Mexico only pay $55 per credit hour, while out of state students pay $99 per credit hour. Scholarships and grants such as the New Mexico State Student Incentive Grant and the New Mexico Legislative Lottery Scholarship further provide students access to education in the state. Garden City Community College groups its academic programs into four categories: adult education (such as English language learning), business and community, career technical education, and general studies. Students can find a variety of associate degrees within the general studies category in the school’s course catalogue. These degree programs range from art and design to nursing. Those enrolled in classes at GCCC pay tuition rates according to whether or not they reside in or around the state of Kansas. In-state students pay $61 per credit-hour, while out-of-state students pay $80 per credit-hour. GCCC offers a discount to students who live in states close to Kansas; those who live in Colorado, Missouri, Nebraska, New Mexico, Oklahoma, and Texas only pay $75 per credit hour for tuition, making this school one of the more affordable community colleges for some out-of-state students to choose from. Mississippi state residents looking to attend a community college that will prepare them to transfer to a four-year university are wise to consider East Mississippi Community College, an affordable, practical option. With four campuses in the state and an online learning presence, this school provides many learning environments and opportunities to in- and out-of-state students. Unlike other cheap community colleges, EMCC is divided into three academic divisions: humanities and fine arts, mathematics and science, and social science and business. Within each division are a variety of associate degrees for students to choose from. These range from computer science to nutrition, and aim to help students gain credits that are transferrable to a bachelor’s degree program. Regardless of what academic division students pursue, everyone enrolled in an associate degree program must complete 33-35 credit hours of general education core classes. The average class size for these courses and others is 20 students. Independence Community College offers 35 associate degrees and 11 certificate programs to students on their campus in Independence, Kansas. The southeast Kansas school has a growing selection of on-campus offerings. In addition to their academic and fine arts buildings are a selection of student union and learning centers, a fitness center, residence halls, and even a disc golf course. At ICC, students can major in anything from architectural engineering technology to early childhood education, and the community college helps students who plan to earn their bachelor’s degrees complete all the courses necessary to successfully transfer to a four-year university. Like other cheap community colleges, student state residency and location largely determines the cost of tuition and fees. Those who live in the Independence school district pay the cheapest rate at less than $120 per credit-hour. Students who live in a border state (Nebraska, Colorado, Oklahoma, Arkansas, and Missouri) also receive slightly discounted education, especially in comparison to out-of-state and international students. Thomasville, Georgia is home to Southern Regional Technical College, one of several cheap community colleges in the South. The community college's degree programs are broken up into five schools: arts and sciences, business, health sciences, industrial technology, and professional services. Many programs within these schools train students for technical careers in areas like surgical technology, carpentry, and welding. In addition to earning an associate degree and directly landing a job in the workforce, students can also graduate before continuing their learning at a four-year university to complete their bachelor’s degree, saving money along the way. Tuition and fees at the school vary depending on whether or not students are Georgia residents (out-of-state students pay double the cost). There are a few exceptions: some Florida residents in neighboring counties and all Alabama students pay in-state tuition. Prospective applicants outside of the United States should note that international students are ineligible to attend Southern Regional Technical College. Students looking for associate degrees geared toward technical careers find an abundance of options at Kansas's Fort Scott Community College. The school's over 40 academic programs offered at its Fort Scott, Paola, Pittsburg, and Frontenac locations focus on topics that range from farm and ranch management to cosmetology. Students planning to transfer to a four-year university benefit from access to over 50 general education courses, all of which are transferable to Kansas universities, among other potential colleges. Tuition and fees ranges from $94 to $175 per credit-hour depending on where the student is from. Those who live in Bourbon County pay the cheapest rate, making Fort Scott Community College one of the most affordable community colleges for local students. Regardless of the cost of tuition, all enrolled students enjoy access to a diverse selection of on-campus activities such as theater, STEM club, and the Collegiate Farm Bureau. With more than 55 associate degree programs, Coahoma Community College provides students with a variety of learning options. CCC designs its programs to prepare learners for satisfying careers and makes available continuing education opportunities to prime students who seek to earn their bachelor’s degree at a four year university. The school's health sciences degrees are particularly popular among students. Many graduate with specialties as an emergency medical technician (EMT), paramedic, or in polysomnography technology. Classes in these programs and others are offered online, in the classroom, and at extension sites across five neighboring counties near Clarksdale, Mississippi. The school assesses tuition and fees by semester instead of credit hour, which can be advantageous for students taking large credit loads. Like many other cheap community colleges, in-state students pay the most affordable rates, while out-of-state students pay more than double for their education. Learners who attend class on campus can also participate in athletics through the school’s robust athletics department, or on an intramural sports team. Cloud County Community College administers all of its academic programs in class sizes of 30 students or less and the school offers a number of associate degree majors transferrable to four-year universities. Many students who enroll in one of the 48 transfer programs -- selecting a major in anything from elementary education to criminal justice -- continue to pursue a bachelor’s degree upon graduation. The school, among the top cheap community colleges in Kansas, also offers certificate programs in topics such as commercial truck driving and wind energy blade repair. All students enrolled at Cloud County Community College pay a similar tuition rate which fluctuates depending on whether students live in-county, in-state, or out-of-state. Any courses available online cost the same rate as on-campus courses in Concordia, Kansas. Students should note that those who take classes on the Geary County satellite campus pay slightly increased tuition rates. Students interested in pursuing an associate degree in a technical field will find a variety of majors to choose from at Oconee Fall Line Technical College. The academic programs offered at the school's Sandersville, Georgia campus cover all sorts of technical specialities, such as air conditioning technology, diesel equipment technology, computer information systems, and greenhouse technology. Depending on the program in which they enroll, students choose to either earn an associate of applied science degree or a technical certificate. To support students in the technical program of their choosing, Oconee Fall Line Technical College offers a slew of services that include academic advising and tutoring, and administers a textbook lending program that helps students save money on education expenses. The school further offsets the cost of education by providing tuition rates comparable to other affordable community colleges. However, tuition quickly increases for those who do not live in the state of Georgia: out-of-state students pay double the rate of tuition, and international students pay four times the rate of tuition. Located in rural southeast Montana's Northern Cheyenne Indian Reservation, Chief Dull Knife College is a 300-student community college with affordable tuition rates and a specialized selection of degree and certificate options. Despite it’s modest size, CDKC offers a substantial number of academic programs. Two associate degrees in particular are uncommonly encountered beyond the school: a major in Native American studies and in Cheyenne studies. CDKC conducts classes in one main building that includes all necessary space for classrooms, a cafeteria, faculty offices, and a bookstore. The school works to make its educational programs and resources more accessible to students by offsetting the cost of tuition with numerous financial aid opportunities. To help make CDKC one of the more affordable community colleges in the region, the school, the state of Montana, and the American Indian College Fund provide several grants and scholarships. Based out of Colby, Kansas, Colby Community College is a bustling institution that serves more than 1,900 students. CCC sprawls across an 80-acre campus and the school operates a 60-acre farm where students and instructors conduct lab and field work. Learners enrolled in the school's academic programs often transfer to four-year universities upon graduation. As such, CCC offers numerous transferrable degrees, including pre-medicine, pre-dentistry, and pre-physical therapy. Alongside these majors is a unique and popular sustainable/renewable energy program offered as a one-year certificate and two-year associate of applied science degree. Like some other cheap community colleges, Colby Community College offers tuition at rates that correspond with a student's location. Thomas County residents pay the most affordable rates, with other Kansas residents following closely behind. While the school does offer online learning programs to all students, their on-campus courses remain less expensive. Laramie County Community College offers a variety of degree and certificate options both through its two campuses and online. The school's main campus is located in Cheyenne, Wyoming, and its secondary campus is about 50 miles away, in Laramie. The school's academic programs each campus vary slightly, but many can be taken as hybrid courses or completely online. Students enrolled at LCCC often pursue an associate degree with the intention to transfer to a four-year university. To support these students, the school partners with several four-year universities to ensure the school’s credits can transfer to bachelor’s degree programs. To further prepare students for life after community college, professional clubs and organizations are offered on campus. Students can engage in the American Dental Hygienist's Association, Collegiate DECA, and Computer Technology Club, among others. The school's tuition and fees are slightly higher compared to other affordable community colleges, but the school awards over $1 million in scholarships to students to offset these costs. Administering five locations across the state of Arkansas and a selection of courses online, Arkansas Northeastern College makes education accessible to students across the state. The school offers academic programs at locations in Blytheville, Burdette, Leachville, Osceola, and Paragould that fall into three categories: associate of applied science degrees, transferable associate degrees, and certificates. ANC offers several topics of study as programs in each of the above categories, which allows students to choose what style of program best meets their needs. Examples include aviation maintenance, education, and welding. ANC offers notably affordable tuition rates to in-county and in-state students, making the school the cheapest community college in the state. In addition to the school's numerous locations and cheap cost, ANC makes education even more accessible to the community by allowing high school students to enroll in courses for credit. 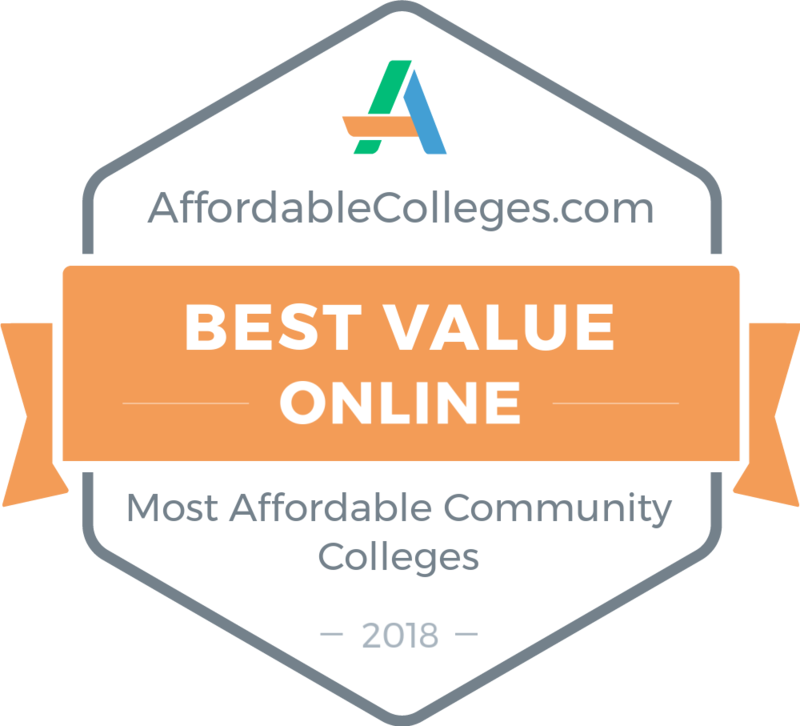 One of the cheapest community colleges in southwest Arkansas, Cossatot Community College of the University of Arkansas is a North Central Association-accredited institution of higher learning. Established in 1975 to offer vocational education to area residents, the school’s main campus is located in the small town of De Queen. CCC provides a range of two-year associate of science and associate of arts degrees, which consist of 60 to 65 credits. Programs of study include accounting, business management, agriculture, criminal justice, education (K-6 and 4-8), psychology, and medical sciences. The school designs its associate of general studies for students who plan to transfer to a four-year program. Students can apply CCC associate degrees toward the first two years of a bachelor’s degree at several regional colleges. Tuition for associate programs at CCC is affordable, and the school makes a number of courses and degrees available completely online. CCC is a veteran-friendly school, offering educational benefits for vets and their families. Based in North Platte, Nebraska, Mid-Plains Community College stands out among affordable community colleges. Accredited through the Higher Learning Commission, the school offers associate degrees in dozens of programs, including technical and occupational programs as well as traditional academic degrees that easily allow students to transfer to a four-year institution to continue their studies. Academic transfer majors span a wide range of topics, from criminal justice and education to speech and engineering. Students who aren’t sure what major they want to pursue can select a general studies two-year degree and complete most of the general education requirements they’ll need to earn a bachelor’s degree. Learners interested in going directly from their studies at MPCC into a career choose from programs like classic car restoration, dental assisting, nursing, EMT-paramedic, and welding technology. MPCC prioritizes providing students hands-on experience through internships and other real-world opportunities. The school’s athletic program includes men’s and women’s basketball, volleyball, softball, and rodeo. Located in the town of Torrington and founded in 1948, Eastern Wyoming College is one of the cheapest community colleges in the state and a solid choice for students searching for the best in affordable community colleges. The Higher Learning Commission accredits EWC and its academic programs, and the school's programs of study prepare students to enter the workforce or to transfer to a four-year college and complete a bachelor’s degree. Students pursue an associate of science, associate of arts, associate of applied science, associate degree in nursing, or a certificate in a variety of subjects. The school’s rural location makes it a good place to study animal science, general agriculture, farm and ranch management, rangeland ecology, or veterinary technology. EWC makes several of its associate programs available online and the school's robust athletic program features men and women’s basketball and rodeo, men’s golf, and women’s volleyball. Central Wyoming College in the town of Riverton is one of the cheapest community colleges in the area. The school’s new, state-of-the-art Alpine Science Institute provides students with a chance to explore and learn in the celebrated nearby Greater Yellowstone Ecosystem. The school's experiential learning program combines elements of archaeology, environmental science, and outdoor education, and takes students to remote areas to conduct research that is used, for example, by the Forest Service and the Bureau of Land Management. CWC's Department of Outdoor and Environment Science offers majors that include outdoor education and leadership, and environment health. CWC provides a diverse range of other academic programs, from equine studies to entrepreneurship, and from welding to American Indian studies. CWC's most well-known program is its associate degree in nursing. Notable features of the college include its student-run FM radio station and its ownership of Wyoming PBS, the state's only public television network. Located in Fulton, Mississippi, Itawamba Community College is a notably affordable and quality option for students hunting for cheap community colleges. The school traces its roots to 1920, when it was an extension of one of the largest agricultural high schools in the state. ICC is accredited by the Commission on Colleges of the Southern Association of Colleges and Schools to award associate degrees. ICC divides its programs of study into three main categories: academic, career and technical, and health science. Majors available in the health science field at ICC include surgical technology, emergency medical sciences, and nursing. The school’s education-to-work Toyota Advanced Manufacturing Technician Program takes five semesters to complete and includes paid experience at Toyota’s Blue Springs car assembly plant. Sports fans will appreciate ICC's athletic program, which includes men’s and women’s basketball and tennis, men’s football, and women’s softball. Alumni include professional football players, including members of the New Orleans Saints and the Miami Dolphins. Allen County Community College, located in Iola, Kansas, was founded in 1923 as an extension of the local high school. Today the school serves about 2,500 students each semester and is among the most affordable community colleges in Kansas. ACCC's athletic program boasts 12 varsity teams and participates in the Eastern Division of the Kansas Jayhawk Community College Conference. Other on-campus activities for students include a collegiate farm bureau club, a creative writing club and literary magazine, band and choir, drama club, and a student newspaper. ACCC's academic offerings span more than 38 degree programs and 18 career certificates. The school also administers 60 guaranteed transfer courses for students who plan to continue their education at a four-year college. Interesting programs include addictions & prevention studies, production media, and farm and ranch management. Most of the school's career certificates are in the allied health field, and popular choices include home health aide, medical office assistant, and rehabilitation aide. Hutchinson Community College in Hutchinson, Kansas, is one of the cheapest community colleges in the area. Nearly 75% of HCC students receive some type of financial aid that makes attending college more affordable. Established in 1928, HCC's first enrolled class consisted of 187 students. Today, the school’s Hutchinson Sports Arena, where the Hutchinson Blue Dragons play, is undergoing a multimillion dollar renovation. The Blue Dragons' 13 athletic teams play in the National Junior College Athletic Association and the Kansas Jayhawk Community College Conference. Notable alumni of HCC include professional football and baseball players, as well as Mathew Pitsch, a member of the Arkansas House of Representatives. Academic programs at HCC span agriculture, the humanities, education, cosmetology, and more. Some of the school's more uncommon majors include auto collision repair technology, zoo science, and a pre-professional chiropractic program. HCC boasts modern buildings, green space, and landscaped walkways and plazas. One of the most affordable community colleges in the state, North Florida Community College was founded in 1957 and merged with Suwannee River Junior College (a historically black institution) in 1966. Academic programs at NFCC include an associate in arts that is the equivalent of the first two years of a bachelor's program and guarantees graduates admission to any Florida university and five associate in science degrees: registered nursing, emergency medical services, criminal justice technology, business administration, and accounting technology. NFCC administers numerous certificate programs that offer quick paths to employment and the school will soon offer a bachelor’s of science in nursing degree. NFCC's BSN in nursing is designed for registered nurses who already hold an associate degree in nursing. Well-known alumni of the school include Miss Florida 2007, a former NFL player, and a former member of the Florida House of Representatives. Pratt Community College, located in the Kansas town of the same name, is one of the cheapest community colleges in the state. At PCC, students can earn affordable two-year degrees through programs that provides scholarships and financial aid for students in technical programs, athletics, fine arts, and traditional academics. Some of the college’s most popular programs include electrical power lineman technology, ag power technology, automotive technology, and nursing. Students interested in transferring to a four-year college after finishing their studies at PCC can take advantage of the school's transfer equivalency system. PCC offers a total of 52 academic and technical degree programs and is accredited by the Higher Learning Commission of the North Central Association of Colleges and Schools. The Pratt Beavers play in 11 sports in the National Junior College Athletic Association and in the Kansas Jayhawk Community College Conference. Three professional basketball players are Pratt alumni. PCC’s campus includes six residence halls serving more than 350 residents. Located in the town of Summit, Southwest Mississippi Community College ranks among the most affordable community colleges in the region. The Commission on Colleges of the Southern Association of Colleges and Schools accredits SMCC to award associate degrees. The two-year college traces its roots to 1908, when the Mississippi legislature voted to allow counties to create agricultural high schools. In 1918, the Pike County Agricultural High School began educating area residents, and eventually became today's SMCC. SMCC remains located at its original site but today boasts 28 buildings, a football stadium and a baseball field, a lake with walking paths, and a tree farm. The school's financial aid department works to make sure that all eligible students receive aid. The school's athletics program includes men's and women's basketball, soccer, and cheer; men's baseball and football; and women’s softball. Commercial truck driving, early childhood education, and well construction technology are just a few of the academic programs offered at SMCC. The school's associate degree in nursing remains one of SMCC's most popular programs. Based in Statesboro, Georgia, Ogeechee Technical College is one of the cheapest community colleges in the state. Established in 1987, the two-year college provides job training and education to residents of Bulloch County and the surrounding area. OTC is accredited to award associate degrees by the Southern Association of Colleges and Schools Commission on Colleges. Numerous programs at OTC feature special accreditation from the Commission of the Council on Occupational Education, including dental assisting, funeral service education, and veterinary technology. Some of OTC's most popular academic programs include practical nursing, pharmacy technology, and accounting. A campus expansion project in the 1990s added new health sciences, horticulture, and childcare buildings. Students at OTC can apply for federal and state financial aid and scholarships in order to fund their education. Student groups on campus include a chapter of the Wildlife Society, Society for Human Resources and Professional Development, and a Student Leadership Council. East Central Community College in Decatur, Mississippi, is a notably affordable institution to earn an associate degree. The two-year school opened in 1928 and serves five counties. East's Warriors compete in the National Junior College Athletic Association Region 23. ECCC offers a number of different academic programs, including in the healthcare field, automotive mechanics, culinary arts, and early childhood education. The school also offers university transfer programs for those who plan to transfer to a four-year university. Students who earn an associate degree at ECCC can transfer up to 35 credits to any university in the state. Notable alumni of East Central include Phyliss J. Anderson, Tribal Chief of the Mississippi Band of Choctaw Indians, two country musicians, an NFL player, a baseball player, and Billy Nicholson, Mississippi state legislator. Combining cheap rates with high quality, ECCC is one of the best community colleges in the region. Dodge City Community College, located in the Kansas town of the same name, is one of the cheapest (and one of the oldest) community colleges in the region. Founded in 1935, the school’s founders wanted area residents suffering from the effects of the Great Depression to learn new skills at an affordable price. DCCC is accredited by the Higher Learning Commission, North Central Association. Students can earn an associate of arts, associate of science, associate of general studies, or associate of applied science at DCCC, and can choose from more than 20 different majors. Educational programs available include: agricultural food chain security, flight instructor, nail technology, paraprofessional nursing, and wildlife biology. A newly-built student activities building hosts college volleyball and basketball games, intramural sports, graduation ceremonies, and community events. The campus recently constructed a new residence hall and technical teaching facilities. Cochise County Community College is an affordable two-year school in Douglas, Arizona. Started in 1964, Cochise offers dozens of associate degrees and more than 30 certificate programs. Students who graduate with an associate degree from CCCC can easily transfer to any one of Arizona’s three four-year universities. The school maintains agreements with many out-of-state universities, which makes transferring credits particularly easy. CCCC is accredited by the Higher Learning Commission to award associate degrees and the school's academic programs span 12 occupational fields, from agriculture and equine to social and behavioral sciences. Popular degrees include nursing, computer aided drafting, and fire science technology. CCCC is known for operating its own airport, built specifically for the college’s aviation program. The school has provided aviation training for more than 45 years, and the program is well respected throughout the industry. One of the cheapest community colleges in Arizona, its campus receives more than 284 days of sunshine each year. Established in 1927 and located in the California city of the same name, Porterville College is well-suited for students looking for affordable community colleges in the state. Its location at the base of the High Sierra also places it within a three-hour drive of the Pacific Ocean and Los Angeles. PC's academic programs include associate degrees and job skills certificates in subjects ranging from administration of justice and psychiatric technology to child development and solar sales. PC's wildland firefighter program enables graduates to apply for wildland firefighting jobs with most state and federal fire agencies in California. Healthcare-related programs are popular at the college, particularly the associate degree in registered nursing program, which takes two years to complete after prerequisites are met. PC is accredited by the Western Association of Schools and Colleges. Located in the state capitol of Georgia, Atlanta Technical College is one of the cheapest community colleges in the area. The school is fully accredited by the Southern Association of Colleges and Schools Commission on Colleges to award associate degrees. ATC’s history dates back to just after World War II, when the school was founded to provide vocational education to adults in the Atlanta area. ATC is now part of the Georgia Department of Technical and Adult Education and enrolls more than 3,000 students each term. Students choose from more than 20 academic programs. Unusual offerings include associate degree programs in air conditioning, barbering, and railroad engineering, and students take advantage of the school's on-campus, student-run barbershop ,and cosmetology salon. Other campus features include a cafeteria open for breakfast and lunch, child care center (part of the Early Childhood Care & Education Program), library and media center, and open-air student lounges. Established in 1961, Georgia's Albany Technical College offers associate degrees in five areas of study: construction and manufacturing; early childhood care and education; healthcare technology; public safety; and technology, business, and personal services. Low tuition rates and accessible financial aid make ATC one of the more affordable community colleges in Georgia. Students interested in construction and manufacturing can pursue any of 12 different associate degrees through ATC's Carlton Construction Academy, including carpentry, electrical construction, and masonry. The school administers all of its construction trade programs in a new, modernized $2 million facility. Business and service industry programs include cosmetology, culinary arts, and computer information systems. ATC and all of Georgia's 33 other technical colleges offer a technical education guarantee, which guarantees that if a Georgia business finds that one of the school's technical program graduates is deficient in competencies outlined in the guarantee, the school will retrain the graduate at no cost to the business that hired them. The history of Phillips Community College of the University of Arkansas dates to 1965, when the school's first classes began in the town of Helena’s Naval Reserve Building. By 1968 construction of the school's permanent home was complete. Since then, the campus has grown to include a fine arts center, a nursing education complex, a technical and industrial education complex, an administration building, and the Lewis Library. Phillips offers affordable associate degrees in more than 25 different disciplines, from technical fields like nursing and medical laboratory technology to traditional fields like English and political science. The school also makes a number of one-year technical certificates available in fields such as welding technology, renewable energy technology, and cosmetology. PCC is accredited by the Higher Learning Commission of the North Central Association of Colleges and Schools. In addition, the school's nursing, medical laboratory technology, and business programs are separately accredited by industry organizations. PCC's reasonable tuition rates makes it one of the state's notably cheap community colleges. Based in Vidalia, Georgia, Southeastern Technical College is one of the most affordable community colleges in the state. The school's available academic programs include a range of technical associate degrees in subjects like nursing, accounting, business management, and diesel equipment technology. Students can complete 15 associate degrees at Southeastern Tech. Besides associate degrees, Southeastern Tech also offers numerous diploma and technical certificate programs, most of which require fewer credits and can be completed in one year or less. Southeastern Tech is part of Georgia's Technical College System and is accredited by the Southern Association of Colleges and Schools Commission on Colleges. Several programs also have their own separate industry-specific accreditations. Southeastern Tech's financial aid department helps students navigate their options for paying for college. Southeastern Tech traces its roots to 1963, when its first class of 32 students enrolled in four programs. The school has grown substantially since 2000, with the construction of new, state-of-the-art facilities and a merger with Swainsboro Technical College. One of the cheapest community colleges in Georgia, Athens Technical College was founded in 1958 as Athens Area Vocational-Technical School. The affordable two year school is accredited by the Commission on Colleges of the Southern Association of Colleges and Schools. Named after the famous college town wherein the school is based, Athens Tech's academic offerings include associate degrees, diplomas, and certificates in the health, business, technical, and manufacturing fields. Popular programs include dental assisting, early childhood care and education, paralegal studies, and welding technology. Athens Tech was the first community college in Georgia to develop an associate nursing degree program to prepare students to become licensed registered nurses, and its nursing program continues to be one of Georgia Tech’s most popular programs today. Athens Tech houses nearly two dozen student organizations that enhance, from the Interior Design Student Association to Phi Beta Lambda. Student veterans receive assistance from Athens Tech's Veteran’s Services Office. Established in 1915, Copiah-Lincoln Community College in Wesson, Mississippi, administers associate degrees and offers its students technical career training. The college serves seven counties, and its campus is located about 45 miles south of the state capitol. Majors at the school fall under one of 11 different divisions, including Business, Marketing & Management; Health Professions & Clinical Sciences; and Precision Production Trades. Practical nursing, computer networking, and drafting and design technology are popular academic programs at Co-Lin. Accredited by the Commission on Colleges of the Southern Association of Colleges and Schools, Co-Lin’s tuition rates are competitive with other affordable community colleges. Campus sports include five men’s teams and four women’s teams, as well as a cheerleading squad. Numerous alumni have gone on to play professional sports, including basketball player Reggie Williams, football players Nick Fairley and DeQuan Menzie, and baseball player Nick Logan. Co-Lin also houses more than 70 student organizations and clubs, from the Practical Nurses Student Nursing Association to an underwater robotics engineering team. Arkansas State University-Newport is part of the Arkansas State University System and was established in 2001. ASU-Newport is accredited by the Higher Learning Commission of the North Central Association of Colleges and Schools, and the school is a good option for students seeking affordable community colleges in Arkansas because of its cheap tuition. The university offers a wide range of academic programs, including associate of arts, associate of science, associate of applied science, associate of general studies, technical certificate, and certificate of proficiency programs. The school divides its programs among five divisions: general education, community services, hospitality services, healthcare professions, and applied sciences. Associate degrees in registered nursing, law enforcement administration, and business rank as top choices for ASU-Newport students. Besides academics, ASU-Newport boasts an active and interesting campus life, housing numerous student organizations and intramural sports. Imperial Valley College enrolls about 7,000 students each year and the school’s low tuition earns it a spot among California’s notably cheap community colleges. Founded in 1962, the school offers associate degrees through four different divisions: Arts, Letters & Learning Services; Economic & Workforce Development; Math & Sciences; and Health & Public Safety. IVC's academic programs include associate degrees in building construction technology, correctional science, pre-engineering, studio arts, and water treatment and wastewater specialization. The school also makes a number of certificates available. IVC's Economic & Workforce Development Division coordinates an apprenticeship program sponsored by the Imperial Irrigation District, which provides 8,000 hours of on-the-job training. Apprenticeships through the program lead to jobs as, for example, electricians, hydro-operators, power plant operators, and telecommunication technicians. IVC offers two "fast-track” programs in nursing and welding, which allow students to complete their training at an accelerated pace. On-campus students take advantage of live music performances, an art gallery, sports teams, and numerous student groups and organizations. Located in Illinois, Olney Central College offers learners certificates and two-year associate degrees. The college is part of the Illinois Eastern Community College system. Students can enter a career directly after completing a program at OCC or transfer to a four-year school after completing their associate degree to pursue a bachelor’s degree. Degree, certificate, and transfer programs at OCC encompass a wide range of fields. Accounting, automotive repair, baking and pastry arts, massage therapy, and welding are just a few of the programs available. OCC's associate degree in nursing is one of the school's most popular programs. Its low tuition rates place it among the most affordable community colleges in Illinois and OCC's Blue Knights athletics program encompasses men and women’s team sports, including men and women’s basketball, baseball, and softball. Notable alumni include two Major League Baseball players, Clint Barmes and Jerad Eickhoff. Part of the Ventura County Community College District since 1975, Oxnard College in Oxnard, California, is part of a network of affordable community colleges. OC's campus is located just two miles from the Pacific Ocean, providing students with a wide range of recreational activities. The college is popular among military personnel, because of its location between the two stations of Ventura County’s Naval Base. OC offers two-year associate degrees that are transferable to four-year California universities, as well as technical and vocational programs. Academic programs available at OC range from technical education like addictive disorders studies, auto tech, and emergency medical technician to liberal studies like ethnic/Chicano studies, American Sign Language, and television. The school's Math/Science/Health/PE/Athletics Division offers programs in fields such as anatomy and physiology, marine science, and health education. OC's popular dental assisting program is known as one of the best in the country. Located in the town of Booneville, Northeast Mississippi Community College is one of 15 particularly cheap community colleges that serve the state. Founded in 1948, NEMCC was initially known foremost as an agricultural school. Today NEMCC is accredited by the Southern Association of Colleges and Schools, and awards associate degrees, as well as technical and career certificates. The school divides its academic programs into divisions: Business and Engineering Technology; Fine Arts; Health Sciences; Languages and Humanities; Mathematics and Sciences; Social, Behavioral, and Applied Sciences; and Workforce Training and Economic Development. The campus features five residential dormitories, the state-of-the-art Burgess Fitness Center, and numerous student organizations and clubs. The Northeast Tigers encompass NEMCC’s eight competitive athletic teams and include men and women’s basketball and tennis. Notable alumni include several professional athletes, including NBA players Qyntel Woods, Dontae Jones, and Trey Johnson, as well as politicians Travis Childers and Lester Carpenter. Grand Island, Nebraska’s Central Community College is one of the state’s cheap community colleges. Opened in 1976, CCC offers more than 30 academic programs that lead to associate degrees or technical certificates. Library and information studies, paramedicine, logistics, precision agriculture, truck driving, and sociology are just a few programs of study available at CCC. The school’s internship program, offered through Cooperative Education, helps students find on-the-job, practical experience while earning up to 16 credit hours towards their degrees. CCC's campus includes a library, dining hall, gyms, a bike-share program, and residence halls for students who want to live on-site. Fine art, music, and theater classes are open to all students. Student life on campus also includes the opportunity for membership in one of CCC’s many student organizations, like archery club, dance team, and Heartland Toastmasters Club. Located in Shelby, Cleveland County, North Carolina, Cleveland Community College is one of the most affordable community colleges in the state due a combination of the school's cheap tuition and the area’s low cost of living. First established in 1965 as the Cleveland County Industrial and Adult Education Center, one of its first offerings was the Licensed Practical Nurse program. Today the college provides a range of associate degrees and certificate programs. CCC is accredited by the Southern Association of Colleges and Schools and the school's programs of study range from associate degrees in visual arts, biotechnology, and criminal justice technology to fire protection technology and office administration. Some of CCC's more unusual program offerings include mission critical operations and broadcasting and production technology degrees. The school's Information Technology Department offers courses of study in more than a dozen majors. Campus life at Cleveland includes numerous student clubs, the Pennington-McIntyre Art Gallery, a student-run cosmetology spa, a gym, and cafe. The state of Kansas features several affordable community colleges, including Salina Area Technical College. Established in 1965, SATC is regionally accredited by the Higher Learning Commission. The school’s campus is located on the former Schilling Air Force Base. Many SATC students participate in campus life and reside in housing at the nearby Kansas State University Polytechnic Campus. Students can complete all of SATC’s programs in as little as nine to 18 months, and the school maintains transfer agreements with numerous area colleges for students who want to continue their education at the bachelor’s level. Salina’s academic programs focus on technical fields like allied health, automotive technology and repair, computer aided drafting, construction technology, dental assistant, welding technology, and HVAC. Students who plan to transfer to a four-year program can pursue an associate degree in general education. Located in Goodman, Mississippi, Holmes Community College traces its roots to 1911, when it was established as an agricultural high school on about 80 acres of land. The school began offering college-level classes in 1925 and today HCC offers academic and technical degree programs spanning diverse fields. HCC offers academic majors including exercise science/kinesiology, religious studies, secondary education - mathematics, pre-dental, aviation management, and forestry & wildlife. Career and technical programs on offer include mortuary science, surgical technology, conservation law enforcement technology, and forest technology. One notable alumnus is professional football player Trumaine Sykes, who has played for the NFL and the Canadian Football League. With particularly low-cost tuition, HCC is one of Mississippi’s notably cheap community colleges. HCC’s campus offers students numerous activities and clubs, intramural sports, residential housing, a library, student publications, and a bookstore. Located in the town of Rainsville, Northeast Alabama Community College is one of the state's most notable -- and cheap -- community colleges. Founded in 1963, the college today enrolls about 3,000 students each term. NACC is accredited by the Southern Association of Colleges and Schools and the school's programs of study number in the dozens, leading to associate degrees and technical certificates. Apparel merchandising design & productivity, applied mathematics, salon and spa management, industrial systems technology, and physical education programs can all be taken by learners enrolled at NACC. The college makes it easy to meet general education requirements that can be transferred as the first two years of a bachelor’s program. The school’s Financial Aid Office helps students determine which programs they should apply for in order to help fund their education, including the Alabama Student Assistance Program, Workforce Investment Opportunity Act program, veteran’s education benefits, and institutional and private scholarships. Country music singer Randy Owen attended NACC. Located in Chanute, Kansas, Neosho County Community College is one of the state’s most affordable community colleges. Neosho stands out from other community colleges because of its active campus life. The school gives students the opportunity to live on campus in residential housing that comes with a meal plan. NCCC’s academic programs span numerous departments, including Business, Health Occupations, Fine Arts, Science, Computers, and Vocational Technology. Programs in court reporting, energy management, marketing, and forensic science represent a small portion of the school's available majors. NCC administers numerous healthcare-related degrees, including healthcare documentation & medical transcription, nursing, healthcare coding, phlebotomy, and occupational therapist assistant. Notable alumni include lawyer and politician Edwin Bideau and professional baseball player Matt Strahm. NCCC is well-known for its athletic department and the Neosho County Community College Panthers compete in men and women’s basketball, soccer, and track and field. Men’s wrestling and baseball and women’s softball and volleyball teams also compete for the school. Located in the town of Moorhead, Mississippi Delta Community College is one of the state’s most affordable community colleges. MDCC traces its origins to 1927, when it began as Sunflower County Agricultural High School. Today the school enrolls more than 3,000 learners each term and MDCC students can take advantage of on-campus housing and live in one of three residential dormitories. Programs of study leading to an associate degree at Mississippi Delta include business administration, English, art, music, public speaking, and math. The school also hosts a law enforcement training academy accredited by the Mississippi Board on Law Enforcement Officers' Standards and Training. Founded in 1998, the academy offers Mississippi law enforcement professionals all levels of training, from basic training (480 hours, 10 weeks) to refresher courses and advanced training. MDCC’s Office of Veterans Affairs helps veteran students navigate special programs and find the most suitable financial aid for their needs.